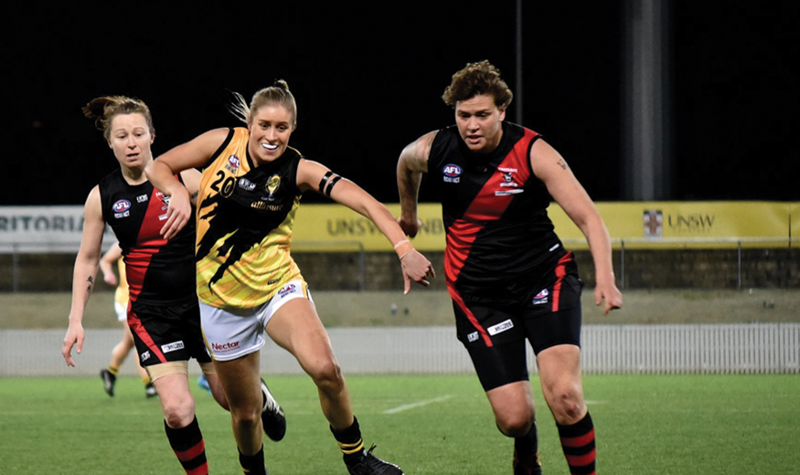 The AFL Canberra UNSW Canberra First Grade Women’s competition kicks off this weekend and with another competitive season on the cards, we have a look at what to expect through Season 2019. Jaike Altieri Reports.. The 2018 season was a close year, with Ainslie heading into the final round tied with Gungahlin on points, with the winner advancing into the finals. Ainslie got the win and rolled into the finals, unfortunately losing to Queanbeyan in the Semi-Final. Belconnen were atop of the ladder all season and looked the premiership favourite heading into the finals before bowing out in straight sets after losses to Eastlake and Queanbeyan. Tuggeranong unfortunately found themselves at the bottom of the table, but with two wins to their name it should give them some confidence that they can compete in season 2019. Gungahlin would still be rueing missed opportunities after missing out on a finals spot after a last round loss to Ainslie. Queanbeyan were competitive all year and showed how good they were when it mattered in the finals, making it to the Grand Final after finishing in third place on the ladder. But it was Eastlake who had the last laugh, winning the 2018 premiership in a strong display against the Tigers. The first month of the 2019 UNSW Canberra First Grade Women’s competition sees a Grand Final rematch in Round Three with Eastlake hosting Queanbeyan at Football Park. The first month is a very level playing field for all teams and will be a big stepping stone for teams to show early favouritism for the flag in 2019. Players will also be looking to perform their best in order to gain selection to compete in the inaugural North v South Representative Round in May. Round 1 has the top two teams from last year, Belconnen and Eastlake, matching up to open what should be a mouth-watering year for women’s football in Canberra. We get the same as 2018. Season 2018 was exactly what every football fan loves to see. Nail biting games, games that can make or break seasons, upsets, you name it the season had it. If the competition produces more of the same in season 2019, expect the unexpected. The talent of the competition is very high, and it could see more players offered contracts to bigger leagues such as the VFLW and possibly even the AFLW heading into 2020. Injuries. The competition needs the big-name players to be out on the field week in and week out to give supporters the best experience. 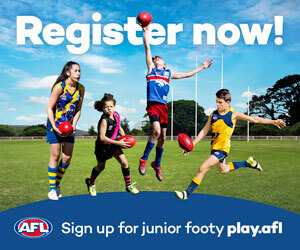 The AFL’s recent launch of the AFL Female Football Prep to Play Program is proactively providing resources created to educate grassroots football coaches and players on how to enhance performance and reduce the risk of injury in female football. Elise O’Dea has to be the talk of the town. The Belconnen product is coming off an astonishing AFLW season, captaining the Melbourne Football Club as well as being selected in the Virgin Australia All Australian squad of 40. We look forward to following what she achieves this year in Melbourne. Locally, expect back-to-back Bainrot Medallist Britt Tully to be red hot again in season 2019. The three time consecutive best and fairest winner will look to continue the hot streak and lead the Tricolours into the finals this season. 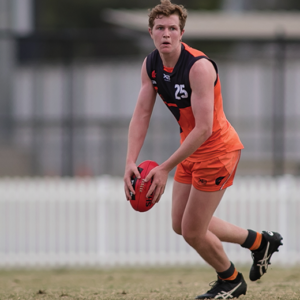 Britt, listed for the GIANTS will also feature in their VFL side in five exhibition games commencing from May 2019. Belconnen have some great young stars running around for them, with young gun Emily Pease as well as former NAB Womens AFL Academy member Maggie Gorham. Pease was selected as an All Australian in 2018, being named in the AFL’s Under 18’s Medly’s side, as well as representing AFL NSW/ACT in the Under 16’s Youth Girls squad. Gorham was awarded level 1 entry into the AFL Academy after her performances for NSW/ACT at the Under 18 National Championships in 2017 and continued her strong form for the Magpies last year. 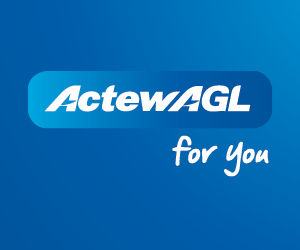 Round one see’s Tuggeranong hosting Ainslie at Greenway Oval, and Belconnen welcoming the reigning premiers Eastlake to the Adero Law Nest on Saturday, in what is a cracking match up to start the year. Sunday will see Queanbeyan and Gungahlin go head to head in another competitive match up at Allinsure Park. All matches start at 3:45pm.